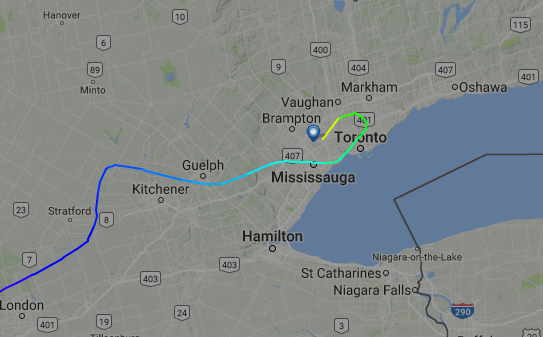 I was on a flight1 from San Antonio, TX to Toronto and, when arriving in Toronto, the plane went quite a way past the airport, made a big U-turn, and then landed. We were coming from the west. I thought it might have been a need to adjust for the runway, but as I said, we went quite a way past the airport, meaning after the turn we had to fly "a little bit to get back to the airport". All that even before starting the process of descending for landing (if it was just a matter of adjusting the direction for the runway, what would be the need to keep the high altitude and go so far to make the U-turn?). Does anyone know the reason? It seems that some flights coming from the west do that move. 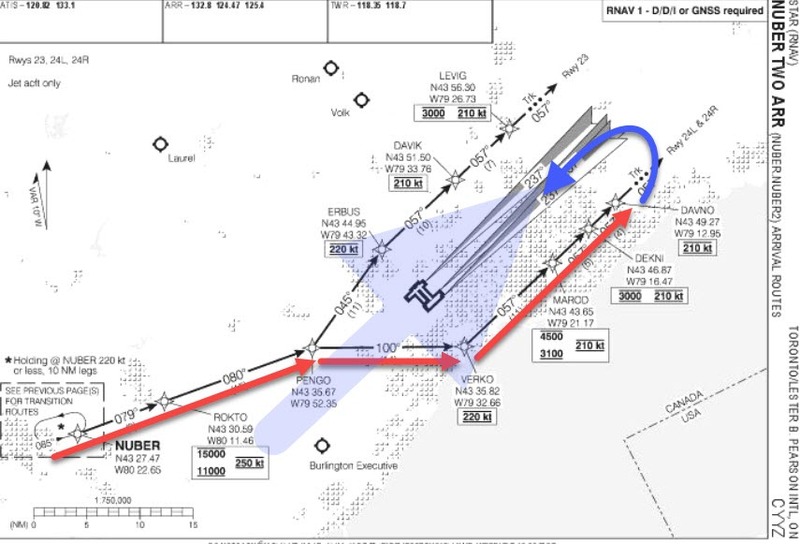 (flightradar24.com) Image shows the flight's route with a final left U-turn prior to landing. Airplanes prefer to land in a headwind. This reduces their groundspeed compared to landing with the same tailwind. Braking distance grows quadratically compared to groundspeed. So any significant reduction in groundspeed is worth having. Successive airplanes should all come from the same direction to land. This removes any danger of collision when a plane fails a landing and goes around into what would otherwise be oncoming air traffic. Planes also prefer to take off into headwind, so if takeoffs are intermingled with landings (very common in a busy airport) they won't interfere with each other if they all go the same way. The tower monitors the wind and then decides which way the airplanes should come in to land and directs landing craft to land from that direction. Depends on runways, most of the time they operate runways 24R and 23, which lands planes facing south west. Runways are chosen from the wind direction, as planes preferably land into the wind. 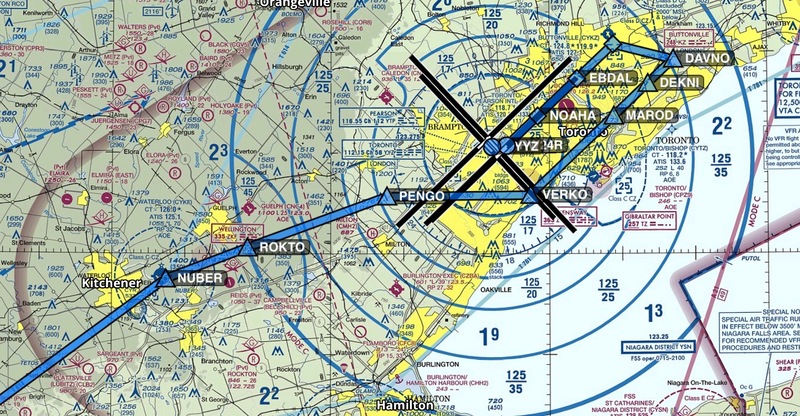 Winds at Toronto just most likely will favor the 24 runways. The STAR(s) "Standard Terminal Arrival Routes" coming from the west puts planes in a direction that is completely opposite (downwind) direction for runway 24R or 23, then get directions (vectors) to align with the runway by a controller. The approach airlines mostly fly into Toronto is the ILS which you can think of like a beam coming from the runway that lines the plane up with the runway hence for the plane the intercept that beam, the plane cant be turned in right away. Therefore, ATC will turn the plane perpendicular to the runway, then a 30 degrees difference to the runway for the aircraft to intercept the beam. Example approach. Big light blue arrow indicates what the wind direction may have been like. See: What determines in which direction a runway is used? Here, the plane is coming from the South-West, following GPS locations until the downwind. It then gets turned inbound for the ILS. I most often travel through Harsfield-Jackson in Atlanta (busiest in the world) and doing the long U-turn is pretty common. The reason it's so long is that you're getting in line behind all the other traffic. I've watched the plane I was on pass as many as a dozen other aircraft before turning and falling in line (this is less common now since they've added more runways). By contrast, flying into a smaller airport with less traffic often involves very little distance between passing the airport and turning. On one occasion we were running late into Jacksonville, FL due to an equipment malfunction in ATL. The pilot pulled a fairly sharp turn on that one when we were just past the airport. We had barely straightened up before we were over the runway. I live about 100km west of Pierson Airport at Toronto and can inform you, as others have mentioned, the runways used and landing /takeoff direction is dictated by the current prevailing winds. My house is situated directly under the flight lane from a local beacon to Toronto, and I can tell which way the wind is blowing simply by listening and watching the aircraft go overhead. When there is an east wind and at the peak time of day, around 5pm - 7pm, aircraft will fly overhead at a regular separation distance on their decent approach to the airport. When winds are from the west they pass MUCH higher overhead. Air traffic control vectors the aircraft into this line. When the wind blows from the east, aircraft that arrived in Toronto from the east fly past the airport and, if I look east from my house, I can see them turning into gaps in the line at appropriate separation distances. If no gap is available due to traffic, they circle at appropriate, stacked, heights till a suitable gap opens up. The lowest aircraft joins the line and any remaining aircraft drop down a level in the stack. The prevailing winds in this part are normally from the west, so most of the time all this happens to the east side of Toronto, as it was in your case. Intrestingly, since the incident with Air France Flight 358, when a storm is happening, aircraft are now stacked from both directions during severe weather events at the airport. The busier the airport the more complex all that stacking becomes. The image below is for London, Heathrow. 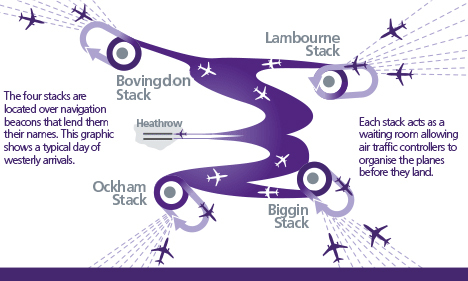 Note they have stacks for planes approaching from the four corners of the compass that are then filtered into two runways as appropriate by ATCs. Again, this whole setup will reverse depending on wind direction. It looks suspiciously like the NUBER2 STAR into CYYZ, possibly with radar vectors early for traffic or weather separation/deviation, followed by radar vectors to the initial fix for either a visual or instrument approach to RWY 24 L/R. First, aircraft land in a headwind, hence the U-turn. They're in a stack of other aircraft approaching, so they have to "get in the queue". Even if this Cessna could easily tailwind-land on a 10,000 foot runway in the tailwind, the 777 behind it really shouldn't. Making the stream of aircraft manageable requires a standard approach. As you can imagine, this is "lowest common denominator" to accommodate all aircraft. Why is it so long? Because there's a lot of work to do. The pilots' time is a chokepoint, that is to say it's a high workload time. If the work isn't done, they can't land and have to go around. They have to either find the localizer (horizontal beacon) or get roughly lined up on the runway. Then they have to line up vertically on the glideslope beacon (or the four lights which are a visual version of the same thing). They have to get their speed where it belongs (several times during the approach), get power where it belongs, drop landing gear, set flaps in coordination with their speed reductions, work their checklists, and prepare the aircraft in all other respects. If they are dealing with crosswinds, they also must have a strategy to correct for that. All this is called "stabilizing the approach". Then they reach a decision point called "minimums", some ways back depending on their flight mode. Here they decide whether they are able to continue the landing: Can they see the field? Is the approach stablized? Continuing to press a bad approach is a bad habit. So the approach pattern is long to give everybody time to do this. The final (upwind) leg of the approach also has the slowest airspeed of the whole flight, and it's into the wind. So it will tend to take a lot longer than the downwind leg where you flew past the airport. So it may seem like it's really far, when it's just really slow. Although it felt strange to you, it is very common. For efficiency reasons, sometimes it occurs at large airports that aircraft land on a direct approach. But, in general aviation, what you saw is completely standard..
runways are always entered from one direction for all traffic. If you approach a runway from the wrong direction then you have to make a u-turn and come back to turn downwind to face the runway. the course your plane took may have been extended for spacing other planes or the pattern may have appeared long to your sense of scale. Large planes fly fast and need a lot of space to turn around while maintaining safe distances from other aircraft. Small airports fly a standard clockwise pattern that always uses a u-turn.  Larger airports with air traffic control and instrument guided approaches will have approach patterns published in charts. Unless otherwise instructed pilots entering the airport airspace are expected to use the published approach; although really an approach would never be made without contacting air traffic control. Not the answer you're looking for? Browse other questions tagged landing wind or ask your own question. How do you perform a gear-up landing in a large airliner? What is the optimal sequence of departures and arrivals on a single runway? Do airplanes dump fuel before landing? Why would a commercial flight be landing with a tailwind? Why do planes overfly Moffett Field before landing? Why was the cabin light turned off before landing?